Hi everyone! This month, I combined the PPP and BAP challenges by Prima. 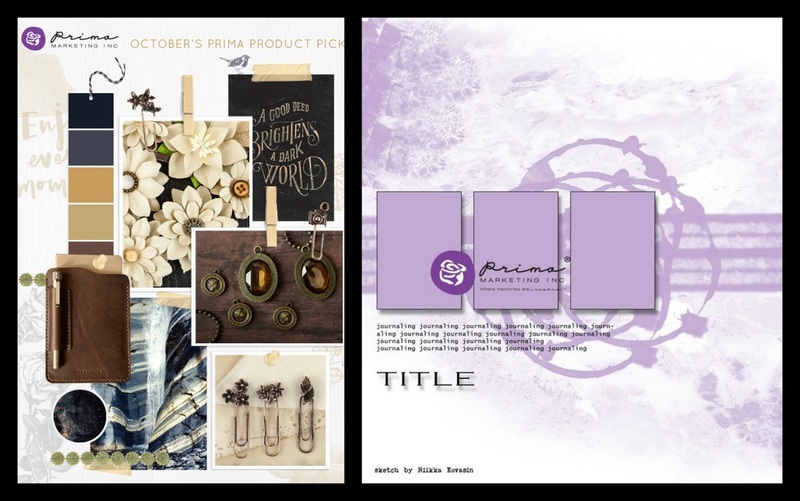 I love the earth tones in the mood board, the pretty flowers... then I used the BAP sketch and I selected these papers from The Archivist collection by Frank Garcia. 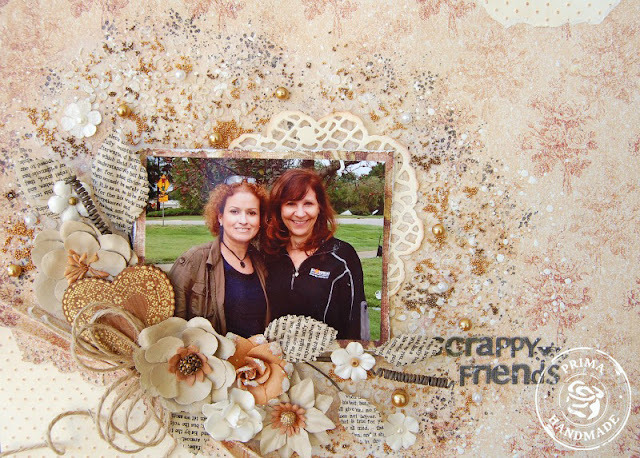 I had the honor of meeting my scrappy friend Jennifer Snider, she is not only a very talented lady, she's a sweetheart! Take at look at her blog to see her beautiful work. 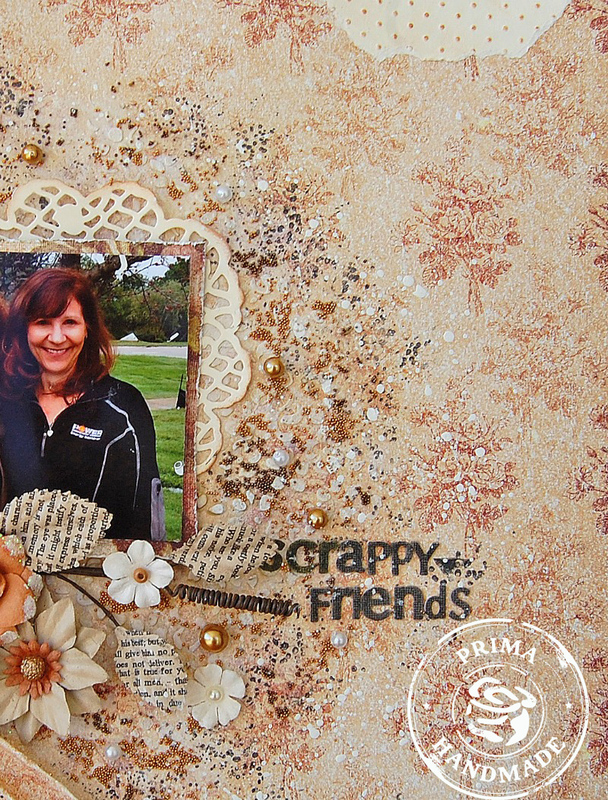 I've been waiting to work this lovely photo of us and because we both love and design for Prima, I think it is the perfect moment! Here are the October PPP and BAP challenges. Gorgeous photo and, above all, a gorgeous lay-out! 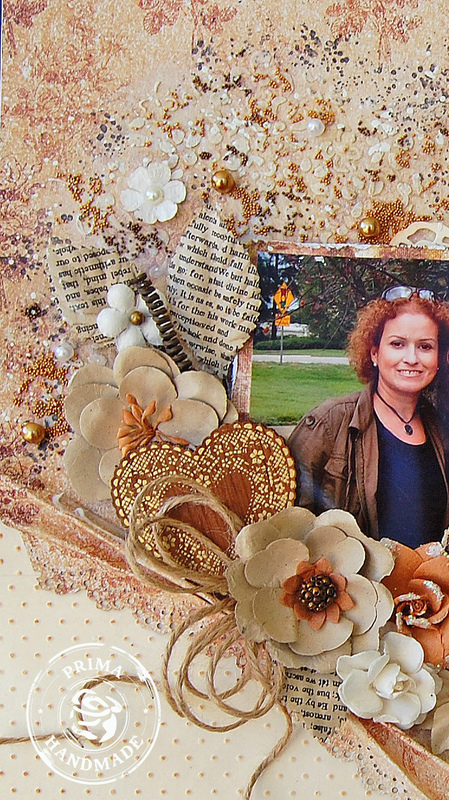 Your use of colours is so beautiful and I really like the way you arranged the flowers and other embellishments.